Hey thanks for the great labels guys. I found the free Linux program Inkscape does a great job importing the pdfs and images here, and it has very useful tools for laying out the images on a page of labels. Since I normally store my Systainers in edgewise to save linear shelf space the side labels are very helpful. Can you post pics of your storage? Uhh that would be very embarrassing to me. All it is are wire shelves with systainers stacked on them. label holder and of course they are more resistant to dirt and humidity. This is great!!! Thanks for making these labels and saving me a ton of time. Could you make one for the Domino Tenon Assortment (498899)? Just want to say thanks to Mike for making all the labels. I put them on all of the on my systainers. Then of course I need labels for my mini systainers so I found this app called iDraw. Wasn't to hard to figure out and soon I had labels for the minis. I attached one of them that I made for a wera ratchet set. I downloaded it and it is in deuch only, I can't do anything.. Welcome to the forum, Charles. The pdf files should be much more useful to me than PC-only software. I remember thinking when I first had a few Systainers on a SYS-Cart, "From stone age to Star Trek in minutes". If you download and install Adobe Reader XI you will be able to import image files of the type Jpeg, Png, Bmp, and Gif. So you can use your cell phone camera to take an image of your stuff and inset it into the label. Reader XI has added the ability to import an image file into a PDf form. This is not possible with older versions of Reader. Just found this and was exactly what I was looking for (MFT Accessories label). Resurrecting an old thread...thanks to @mike68au for his work on these labels. I wasn't feeling great today, so rather then spending time in the shop I worked on additional labels I had a need for. Let me know if you find any mistakes or have feedback. But I don't think some of them can have two brandnames on it. Like the Fein MM with the Festool logo beneath it. It's Fein or Festool but not both. Other labels don't have the Festool logo beneath. Here's my Fein version also. Thanks very much - these are great and I can use quite a few of them. It never occurred to me to put a nicer label on the Festool tool systainers but the original labels are kind of difficult to identify from a distance with older eyes . I'm using the link above to the UK website for their PDF's. Can somebody tell me how to change the font size, or if it's even possible? I'm on a Mac but downloaded the acrobat reader. I can change out the picture etc. but the default font is pretty small. @jdm5 - thanks for sharing these. They are excellent. I've used many of them. Do you have labels for any of the drills? The CXS or T15 would both be welcome! @neilc here you go (now that I have the templates setup they are pretty quick). I'm also keeping all of them in my Dropbox folder (much easier). 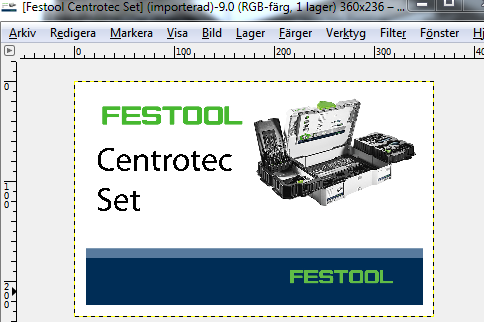 If anyone is aware of a Festool central file site let me know, happy to centralize them somewhere else. (I don't have any of these tools, let me know if these are the right images). What do you mean hole saw systainer? 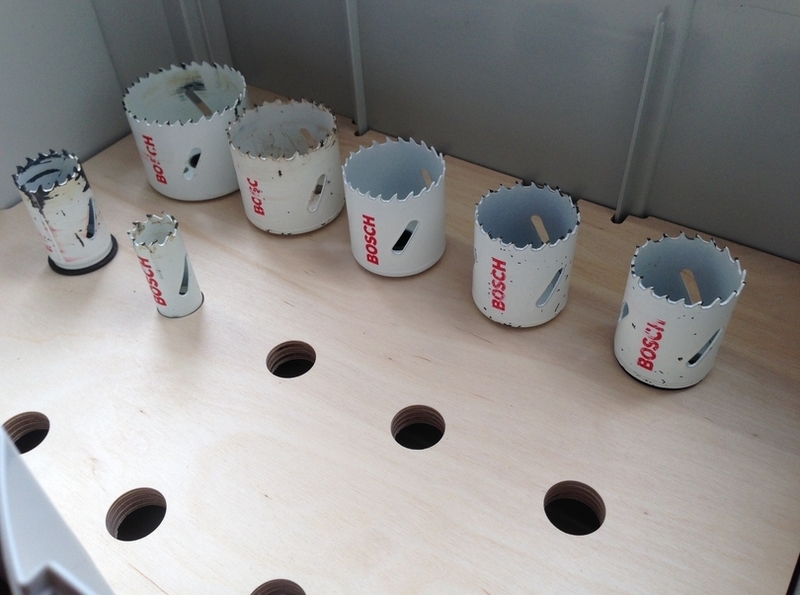 Just a picture of hole saws? Does Festool make this? Is it possible to change some label something on my own ? Which program can i Use if I want to add my name somewhere in the label or something like that. I use Gimp (program) alot. I've not used Gimp but from what I read you should be able to modify them that way. @jdm5 - Thanks, you got most of the what I can use. And I stumbled out and it already has one on each side... just with writing on clear.